If you are looking for innovative chocolate designs to tickle your taste buds look no further than Chocolate Mould Designs UK Ltd in Halifax. By using our wealth of knowledge and expertise in moulding chocolate we can create personalised bespoke unique designs in chocolate to suit all of your needs and desires. Whatever your needs are we work with you from the start of the project right through to the end to make sure that you are fully satisfied with the services you require. We make sure that we allocate you an expert that works with you throughout the whole process so that you are comfortable and build a working relationship that you can rely on. Whatever you can dream we can make come true with chocolate moulds due to our years of experience and dedication to the industry. We offer all of our customers a fast service they can count on as our minimum turnaround is only 10 days for design, creating and delivery of goods. 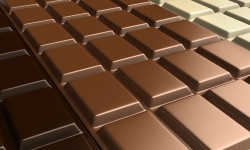 With such a fast service at an affordable price you can start creating chocolate sooner rather than later. We have worked with large and small companies so do not be worried when contacting our services. Call us on 01422 381 627 for more information and to enquire about our services.